Do you know the Chinese Zodiac? In China, The Chinese zodiac is very popular. Each person has their own Chinese zodiac. What is Chinese zodiac? In ancient times, our ancestors counted the years by 10 celestial stems and 12 terrestrial branches. Although this was scientific, but it is difficult for people to calculate the years easily, so In order to remember year, the ancestors raised one good ideal using the animals represent the years. The animals will be easy to remember. Those animals are rat, ox, tiger, rabbit, dragon, snake, horse, sheep, monkey, rooster, dog and pig. 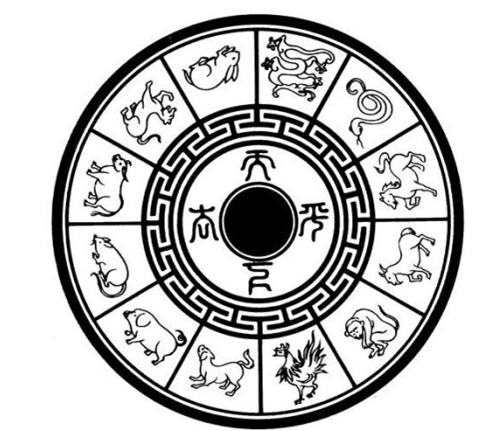 Each animal signs behalf on 1 year (Chinese calendar). There are 12 animal signs, so it will be repeated each 12 years. So once you know someone’s Chinese zodiac, you can calculate the age of his or her. In china, instead of asking directly how old a person is, the Chinese often ask about his or her animal sign, which places a person within a cycle of 12 years. People believe that the zodiacal animal sign has special relationship between human. It is very similar with twelve constellations in western. People believe that each zodiacal animal has their own character and fortune. So the people will have the similar character and fortune with matched Chinese zodiacs. For example, the Chinese horoscope may predict that a person born in the Year of the Horse is “cheerful, popular and quick to compliment others”. The person’s birth year is the primary factor in predicting a person’s personality, physical and mental attributes, ability and level of success and happiness throughout his or her lifetime.